The vision at Habitat for Humanity, Seattle-King County (Habitat SKC) is to create a world where everyone has a safe, affordable place to live. An affiliate of Habitat for Humanity International, Habitat SKC is a non-profit, faith-based housing ministry, named “Brand of the Year” multiple times in the social services/nonprofit category in the annual Harris Poll. Created out of the merger of three local affiliates, Habitat SKC is now one of the nation’s largest, is on a high-growth trajectory and plays a key leadership role in addressing one of the community’s most pressing issues. Habitat SKC is currently in a very strong financial position and is poised to begin some of the most ambitious projects ever undertaken in this community. As such, the affiliate is looking for an energetic, passionate individual to drive the agency toward achieving ambitious revenue goals. Habitat SKC forecasts revenue of approximately $14M for FY 2019 and the affiliate operates with 42 full-time and 4 part-time staff, as well as 13 AmeriCorps volunteers. Reporting to the Chief Development Officer (CDO), the Director of Corporate Relations (DCR) is responsible for securing, sustaining and enhancing strategic partnerships and philanthropic relationships with corporate, in-kind and faith partners. Representative responsibilities include: managing and cultivating a portfolio of approximately 150 donors ($10,000 and above); collaborating with other Resource Development team members; coordinating with leaders in other departments to fulfill their development needs and meet the needs of the Resource Development Department; and contributing at a strategic level to the advancement of philanthropy on behalf of Habitat SKC. This list is not intended to be exhaustive. More detailed information can be found in the position profile above or the job description below. Habitat SKC is a progressive employer and is committed to a policy of equal employment opportunity for all. 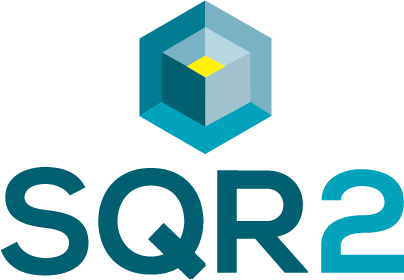 Habitat SKC and SQR2 Consulting embrace diversity of thought and personal experience, and encourage members of underrepresented groups to apply. For immediate consideration, please complete the brief application here. Alternatively, you may send a cover letter of no more than two pages and a resume to Mr. Ed Rogan, Principal Consultant, Square Two Consulting at ed@sqr-2.com. You may direct your questions to Mr. Rogan via email or by calling 206.697.8428.